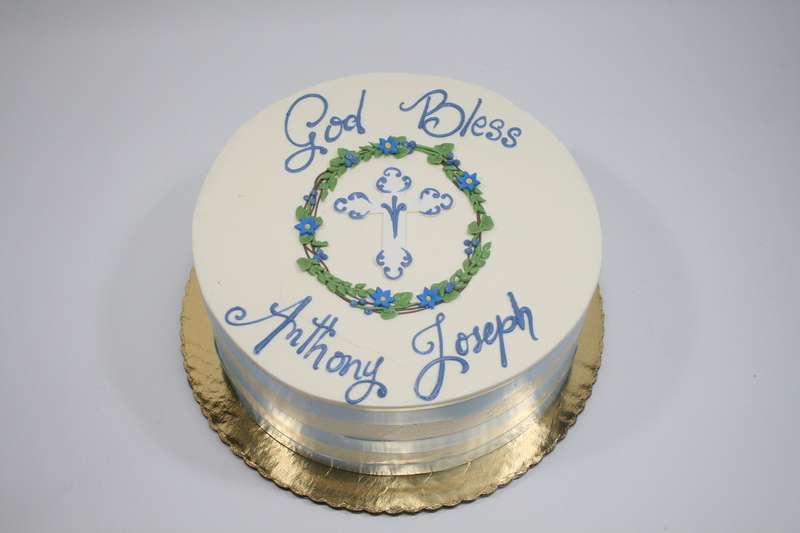 This design features vanilla or chocolate buttercream frosted cake with garland frame, rolled chocolate ornate cross and ribbon bands on the side. 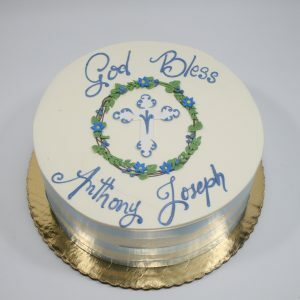 Customers choice of 1 pastel color with green garland. Shown as 10″ round with blue.